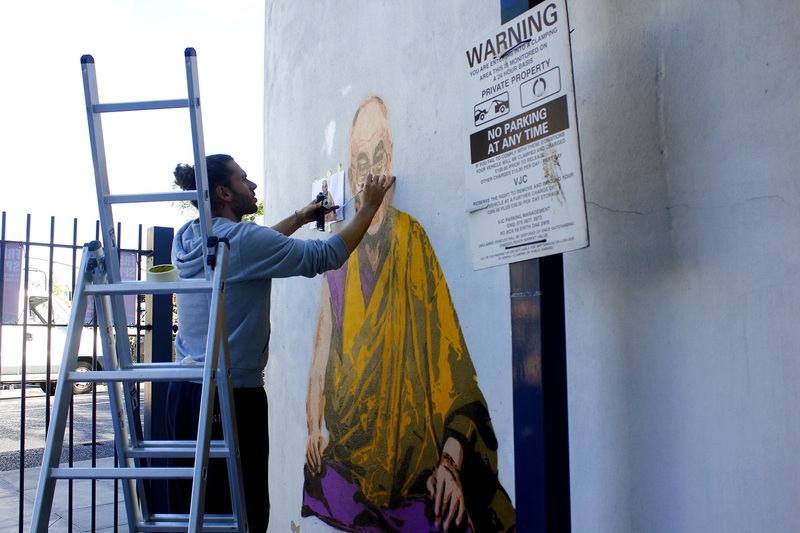 As part of a long term cooperation with Tibet Society in London and in order to bring more awareness to the Tibet’s oppression by the Chinese authorities, Panos was commissioned to create a mural of Tibet’s spiritual leader, the 14th Dalai Lama. 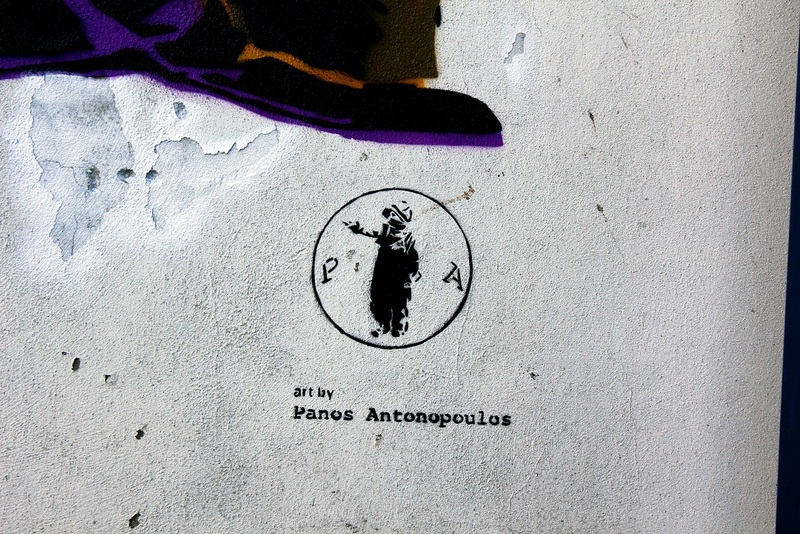 The mural was painted on the 12th of May 2015 outside Tibet Society’s offices in Haggerston, London, as a celebration for his 80th birthday. 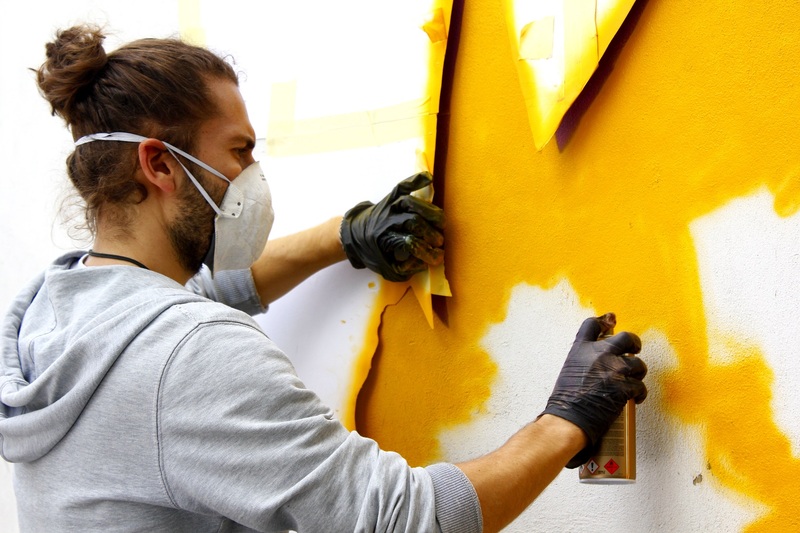 The work is stencil based and included 50 hours of hand cutting and 5 hours of spray painting for the total 7 layers. The plan was to have 8 quotes, changing weekly, one for each decade of Dalai Lama’s life. On the 6th week the mural was removed by the local council and had to be painted back on the birthday with the final quote. A new colour was used for the monk cloth.